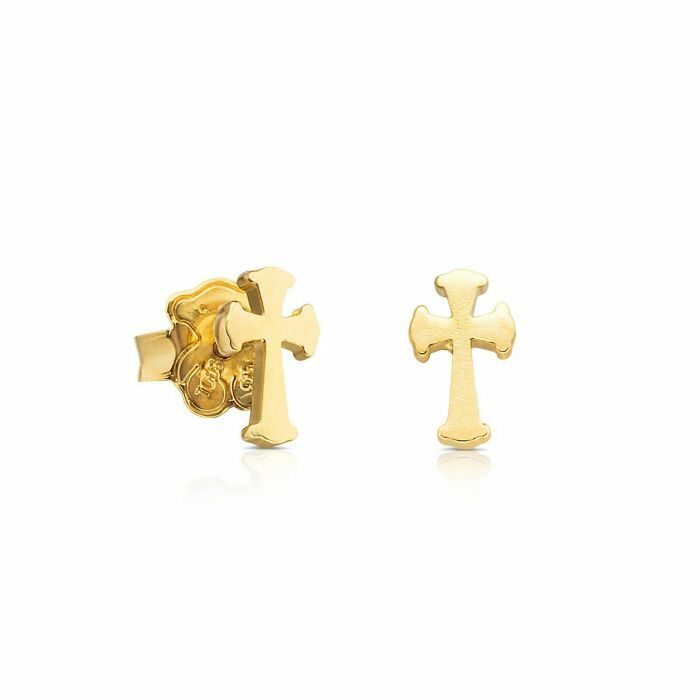 From TOUS, these cross stud earrings from the idol collection are crafted in gold-plated sterling silver. These earrings measure 9mm in length and are best paired with other TOUS items from the idol collection. Wear these earrings to display your faith.